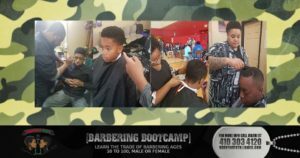 What – Conscious Heads Barbering Bootcamp provides pre-apprenticeship training and matching services to graduating seniors ages 16-24 who did not have a post-secondary plan for their education. Why – Every June graduating seniors from Baltimore City Public School filter into two and four-year colleges/universities, military service, vocational school, full-time work or self-employment. However, there is always a certain percentage of graduates who HAVE NO PLANS AT ALL. RBCF & Conscious Heads Barbering Boot, manager Jabari Natur has been assessing these percentages at local area high schools in efforts to reduce the numbers at establishments with above-average rates. 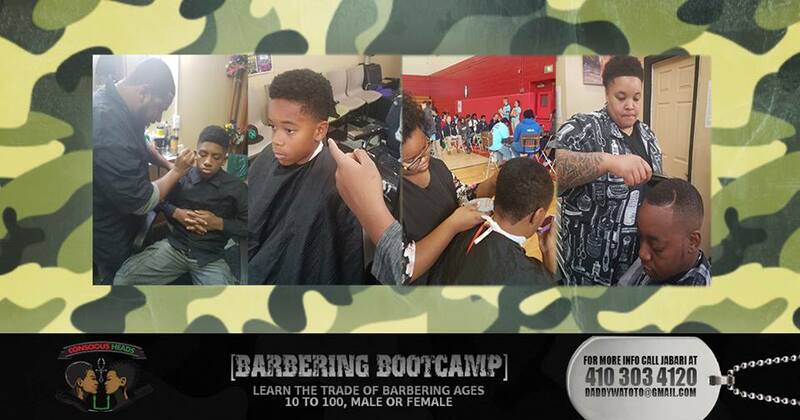 How – By offering pre-apprenticeship training and matching services for graduating or postgraduate seniors we can dramatically increase their chances of obtaining an apprenticeship opportunity with a local Master Barber. Based on our survey of one-hundred local Master Barbers, we discovered that they are “highly likely” to accept an individual as an apprentice if they already have “some basic knowledge and skill” of the barbering profession. Posted on April 10, 2018 By R.B.C.F.